Have you heard? With 52.2% of all worldwide online traffic being generated through mobile phones, a statistic which is up from 50.3% in 2017, it’s more vital than ever to make sure your brand’s content has been optimized for use on mobile (Statista, 2018). Most importantly, you need to create and disseminate content that’s ready to be viewed in the same manner that your audience interacts with nearly every app on their mobile devices. It should come as no surprise that the future—nay, the present day—is vertical. Wyzowl’s fourth annual State of Video Marketing Survey reports that the average person watches 1.5 hours of video each day on their mobile devices, and phones are held vertically 94% of the time. In light of these findings, it’s clear why the vertical video format is steadily being incorporated into most social media platforms. Snapchat was arguably the first social platform to embrace the vertical video format and created what has become one of the most popular ways to share vertical video: social stories. The trend of publishing content in short bursts of photo and video quickly became the most popular way for younger viewers to consume content, strengthened by the ability to skip through less desired content with a tap of the finger. Instagram and Facebook followed closely behind and launched their own stories features once Snapchat’s format proved to be successful. Now, vertical video is becoming more embedded into the social media landscape. Facebook reports that Facebook Stories have a reach of approximately 150 million daily active users and are on track to surpass news feeds as the primary way people share information by 2019 (TechCrunch, 2018). As Stories and vertical video continue to gain popularity, we have continued to see innovation across major platforms to integrate the new format. New interactive features continue to change the way Stories are created and implemented, opening opportunities to engage with users from both business and personal accounts. 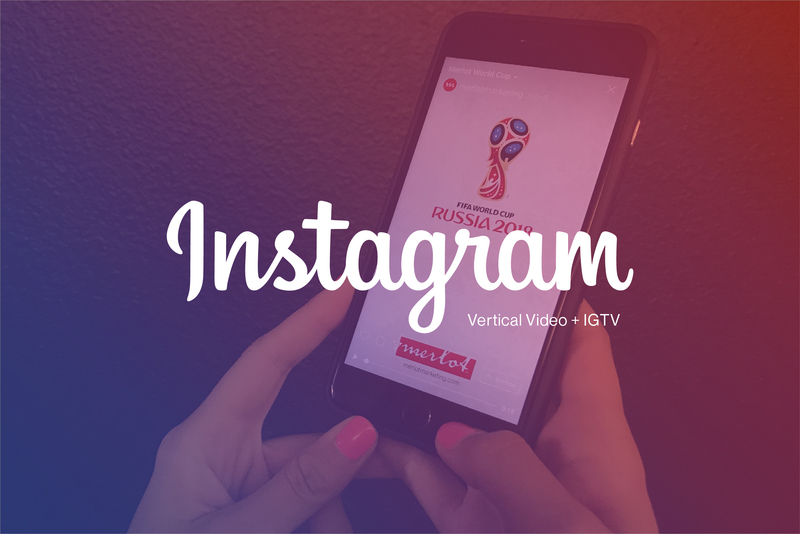 IGTV (Instagram TV): Instagram launched its new long-form vertical video content app, called IGTV, in June. This new app targets a younger audience with short, digital creator-focused videos. The IGTV app was created to replicate a TV-like viewing experience, with channels that autoplay content from the creators one already follows on Instagram. Unlike most other platforms, IGTV embraces long-form video content; in addition to the short-form content that has made Stories so popular, IGTV segments can be up to an hour long. With this platform, anyone can become a creator by uploading videos to the IGTV app or from a desktop. IGTV is available as a standalone app, although users are currently able to watch and/or upload videos from within the main Instagram app as well. YouTube: YouTube added vertical video support in its app and on the web in July. The update was designed to help cater to vertically shot content by removing the black “letterbox” bars that, up until now, have appeared on either side of vertical videos uploaded to a landscape format. While adding additional vertical video viewing options to the platform has met with resistance, it makes sense for YouTube considering current trends. Due to the popularity of video across social media coupled with the ever-increasing trend of accessing the web via mobile devices, vertical video will continue to expand and become a necessary format for creators to implement. If you’ve been resisting vertical video, this is the time to start experimenting.